Cullan Schriever (Mason City) 29-0, Fr. over Ben Monroe (Ankeny Centennial) 41-4, Fr. (Dec 9-5). Cody Anderson (Waukee) 31-9, Fr. over Conrad Braswell (Prairie, Cedar Rapids) 28-7, So. (Dec 5-3). Nick Oldham (Valley, WDM) 34-6, So. over Evan Yant (Waverly-Shell Rock) 42-14, Fr. (MD 10-0). Nathan Kahoe (Des Moines Lincoln) 36-10, So. over Hans vonRabenau (Iowa City, West) 24-10, Jr. (Dec 7-3). Kyle Biscoglia (Waukee) 46-2, Jr. over Jacob Schipper (North Scott) 44-4, Sr. (Fall 3:44). Drew Bennett (Fort Dodge) 42-1, Jr. over Kobey Pritchard (Indianola) 44-6, Jr. (Dec 8-5). Jacob Close (Epworth, Western Dubuque) 24-5, Sr. over Eric Owens (Ankeny Centennial) 31-19, So. (Dec 6-2). Jakey Penrith (Cedar Falls) 32-12, So. over Ryan Steffensmeier (Fort Madison) 29-13, Jr. (Dec 6-1). Brody Teske (Fort Dodge) 46-0, Jr. over Gauge Perrien (Southeast Polk) 23-4, Jr. (TF-1.5 5:03 (20-5)). Joe Pins (Dubuque, Hempstead) 42-2, So. over Eli Loyd (Pleasant Valley) 47-9, Fr. (Dec 10-6). Noah Hughes-Reilly (Valley, WDM) 35-10, Sr. over Dylan Albrecht (Waverly-Shell Rock) 42-10, So. (Dec 3-1). Connor Sexton (Indianola) 43-11, Sr. over Alex Aguirre (Iowa City, West) 27-19, Sr. (Dec 4-1). McGwire Midkiff (Council Bluffs, Thomas Jefferson) 51-4, Sr. over Adam Brown (Southeast Polk) 43-4, Sr. (TB-1 3-1). Zach Price (Johnston) 41-4, Jr. over Damond Lockner (Fort Dodge) 42-9, Jr. (Dec 7-3). Brock Espalin (Des Moines East) 41-10, Fr. over Will Foreman (Cedar Rapids, Washington) 34-4, Jr. (Dec 7-0). 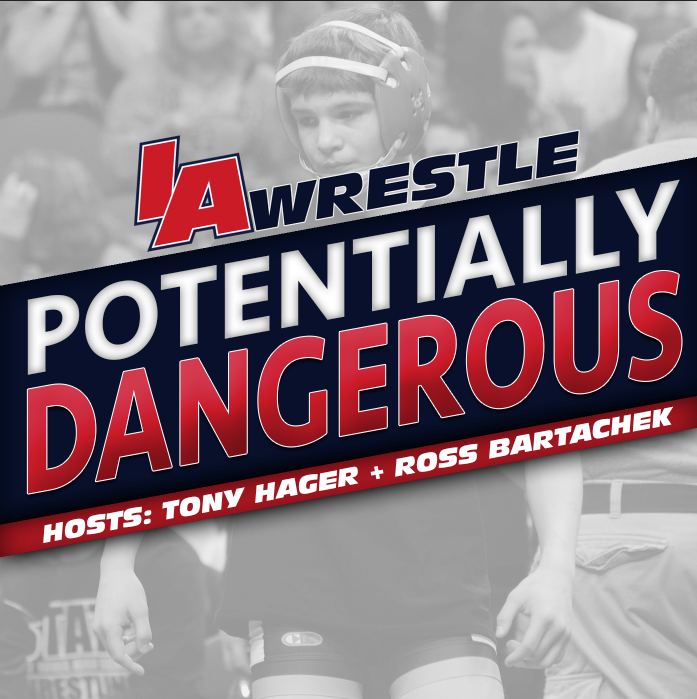 Shadrach Zarwie (Des Moines North/Hoover) 32-11, Sr. over Lance Bormann (Iowa City, City High) 35-17, Jr. (MD 15-7). Bradan Birt (Epworth, Western Dubuque) 46-3, Sr. over Cade DeVos (Southeast Polk) 42-3, So. (Dec 14-10). Lance Runyon (Indianola) 49-5, So. over Matthew Jordan (Des Moines East) 41-10, So. (MD 8-0). Jake Watters (Dowling Catholic) 43-6, Sr. over Trenten Wennermark (Prairie, Cedar Rapids) 37-11, Jr. (Dec 9-4). Will Jefferson (Bettendorf) 35-11, So. over Drevon Ross (Fort Dodge) 36-17, So. (TF-1.5 5:15 (15-0)). Triston Lara (Fort Dodge) 44-1, Sr. over Nathan Lendt (Southeast Polk) 36-6, Jr. (SV-1 5-1). Harlan Steffensmeier (Fort Madison) 47-4, Jr. over Gabriel Kjeldgaard (Lewis Central) 38-8, Jr. (MD 10-2). Bryce Murano (Dallas Center-Grimes) 38-8, Sr. over Deville Dentis (Des Moines East) 39-6, So. (Dec 3-0). Nathan Feldman (Dubuque, Hempstead) 36-8, Sr. over Mason Morris (Bettendorf) 32-13, Jr. (Dec 2-1). 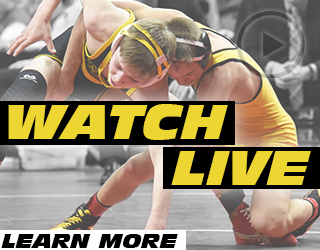 Zach Barnes (Southeast Polk) 43-3, Sr. over Grant Stotts (Valley, WDM) 40-4, Jr. (Dec 5-1). Josh Gerke (Xavier, Cedar Rapids) 43-4, Sr. over Nick Graham (Johnston) 27-3, So. (Dec 12-7). 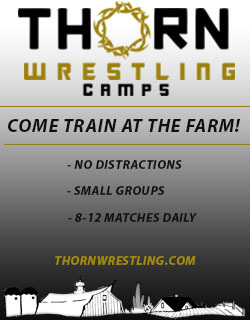 Trevor Anderson (Glenwood) 45-7, Jr. over Mason Hulse (Boone) 41-6, Jr. (Dec 9-7). Caleb Conway (Marion) 47-2, Sr. over Tyler Hirl (Norwalk) 32-13, Sr. (Fall 2:32). Nelson Brands (Iowa City, West) 54-1, Jr. over Cayd Lara (Fort Dodge) 44-3, Jr. (Dec 11-9). Austin Yant (Waverly-Shell Rock) 49-3, Sr. over Colin Conway (Marion) 44-5, Sr. (Dec 4-3). Zane Mulder (Dallas Center-Grimes) 40-4, Jr. over Anthony Zach (Waukee) 39-9, So. (Dec 6-2). Joe Nicholson (Valley, WDM) 32-10, Sr. over Shawn Brown (Des Moines Lincoln) 17-8, So. (MD 9-1). Joel Shapiro (Valley, WDM) 44-0, Jr. over Mac Southard (Lewis Central) 35-2, Sr. (Dec 5-3). Matt Culver (Cedar Rapids, Jefferson) 35-5, Sr. over Zack Wagenhoffer (Waverly-Shell Rock) 44-10, Sr. (SV-1 3-1). Carter Rohweder (Iowa City, West) 45-9, Sr. over Alex Streicher (Linn-Mar) 38-10, Sr. (Dec 7-2). Tad Griffith (Des Moines Lincoln) 41-4, Jr. over Collin Hushagen (Johnston) 42-11, Jr. (Dec 10-5). Marcus Coleman (Ames) 41-0, Sr. over Gavin Babcock (Southeast Polk) 36-7, Sr. (TF-1.5 3:32 (22-7)). Ben Sarasin (Cedar Rapids, Kennedy) 34-2, Jr. over Bryce Pilcher (Cedar Falls) 39-8, Sr. (MD 13-2). Tavian Rashed (Cedar Rapids, Jefferson) 28-5, Sr. over Jason Beebe (Oskaloosa) 39-6, Sr. (Dec 3-2). Joey Mitchell (Ottumwa) 38-13, Jr. over Kade Kolarik (Indianola) 44-9, Sr. (SV-1 8-6). Max Lyon (Epworth, Western Dubuque) 49-0, Sr. over Anthony Sherry (Glenwood) 39-6, Jr. (Dec 7-0). Spencer Sherwood (Burlington) 48-2, Sr. over Tyrell Gordon (Waterloo, East) 43-6, Jr. (Dec 5-2). Garrett Kubovec (Cedar Rapids, Kennedy) 34-6, Sr. over Gabe Christenson (Southeast Polk) 33-14, Fr. (Dec 6-2). Triston Richardson (North Scott) 38-15, Sr. over Ben Schiltz (Ankeny) 31-11, Sr. (Dec 6-5). Isaac Bartel (Mason City) 29-3, Sr. over Kaden Sauer (Dowling Catholic) 43-6, Sr. (UTB 5-4). Connor Corbin (Valley, WDM) 42-5, Sr. over Cody Wonderlich (Southeast Polk) 26-17, Sr. (Fall 4:38). 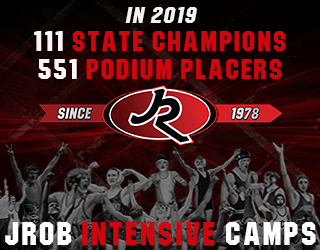 Jacob Dykes (Iowa City, City High) 47-2, Jr. over Isaac Bales (Glenwood) 38-10, Jr. (Fall 1:52). Kyler Salazar (Oskaloosa) 21-8, Sr. over Sam Serrano (Davenport Central) 27-9, Sr. (Dec 9-4). Wyatt Wriedt (North Scott) 44-1, Sr. over Rocky Lombardi (Valley, WDM) 38-2, Sr. (SV-1 5-3). Zach Haggstrom (Glenwood) 37-9, Sr. over Jordain Buckland (Iowa City, City High) 32-4, Sr. (Dec 4-1). Sam Gerst (Waterloo, West) 32-7, Sr. over Jacob Eggleston (Waverly-Shell Rock) 45-10, Sr. (Fall 2:49). Jacob Melton (Boone) 29-7, Sr. over Alex Francois (Xavier, Cedar Rapids) 24-19, Sr. (Dec 15-10). Aaron Costello (Epworth, Western Dubuque) 50-0, Sr. over Eagan Lickiss (Indianola) 41-5, Sr. (Fall 2:19). Caleb Sanders (Glenwood) 41-6, Jr. over Tyler Clark (Clinton) 32-8, Sr. (TB-2 6-4). Callan Tomlin (Oskaloosa) 37-8, Sr. over Keegan Poole (Pella) 41-6, Sr. (Dec 2-1). Nathan McDonald (Waukee) 42-10, Jr. over Colin Newell (Ames) 33-7, Sr. (TB-2 3-1).